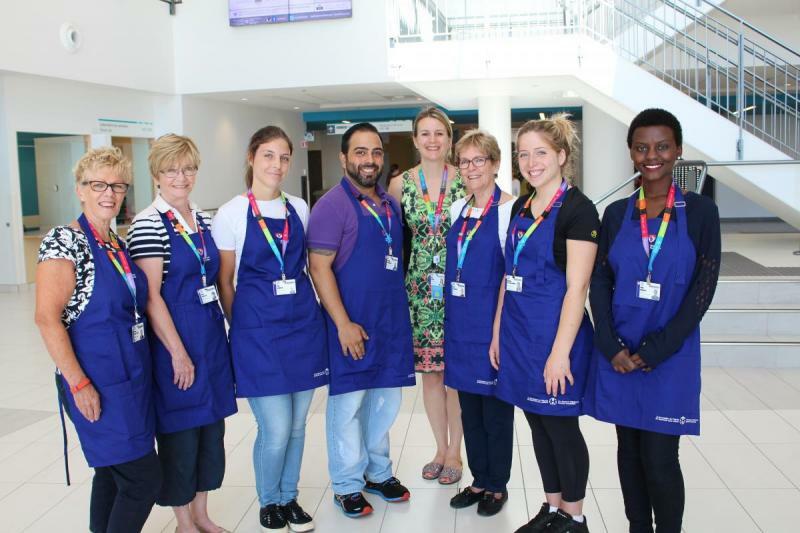 Montreal Children’s Hospital volunteers are all smiles thanks to their new uniform update! Check out their brand new navy aprons, provided thanks to the generosity of our donors at the Montreal Children’s Hospital Foundation. In total, the Children’s counts on over 500 volunteers contribute a total of 25,000 hours to various programs throughout the hospital. Whether they dedicate their time to keeping waiting rooms cheerful, spending one-on-one time with patients or helping out with clerical duties, our volunteers play an important role in supporting staff and making the Children's a warm and caring place.